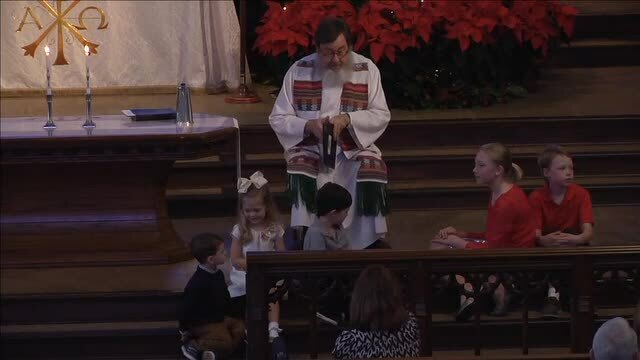 As has been customary in recent years on the Sunday following Christmas, with children gathered around much like the weekly Children's Moment, Michael reads a story he has written for the occasion. This, story, though, is for all of God's children in attendance. Today's story, "Lost and Found," is an imaginative expansion of Luke's story wherein the family of Jesus, having left the Temple and Jerusalem and having traveled for a bit, discover that Jesus is not with them. They suffer immediate concern that over time grows into panic, and then into a mixture of relief and anger when they eventually find him. Many parents have had a similar experience or have feared as much.